A picture of one of your offspring Sebring 3 days from going into water when the pic was taken she is 4 days old now and twice that size. Thank you, everyone, for the support. It means a lot to have the support of everyone I consider to be a part of my tribe. The genetics definitely have some vigor in them!! 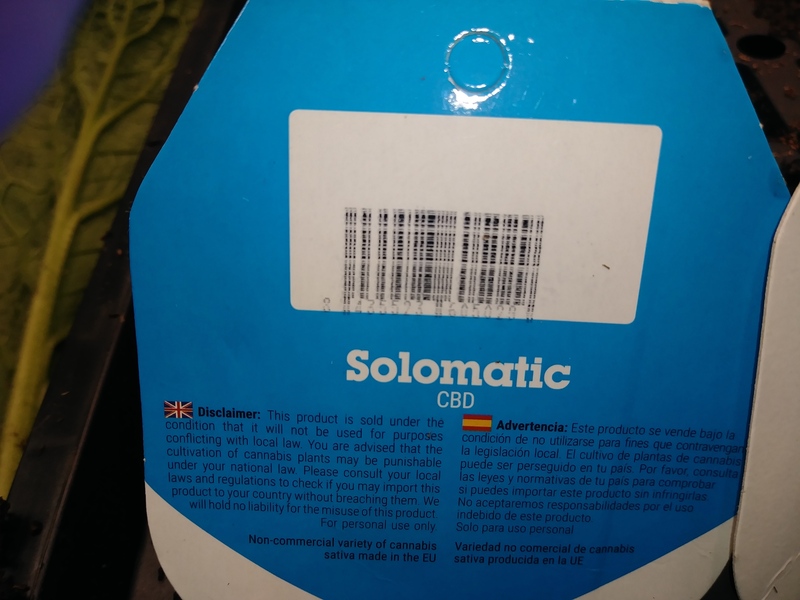 I purchased 10 Royal Queen Seeds Solomatic CBD AUTO Feminized Cannabis Seeds from Attitude Seedbank, and so far zero have germinated. 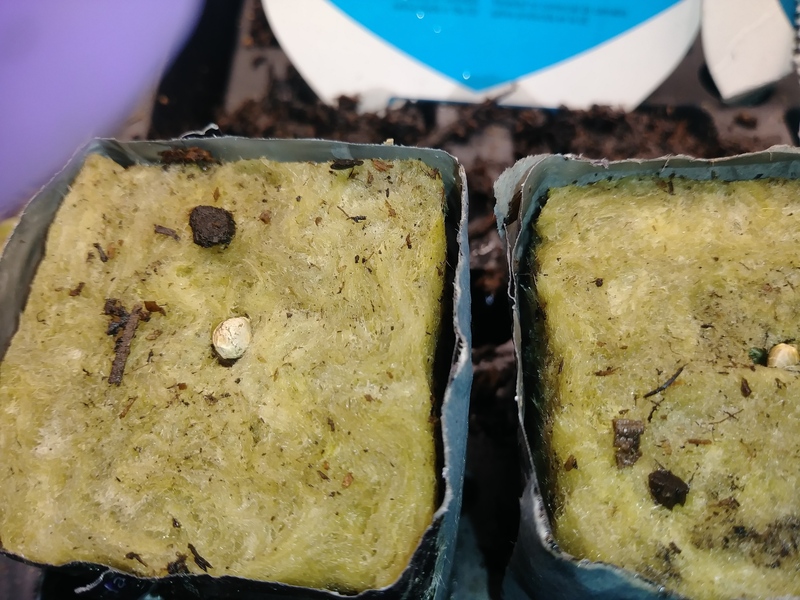 I've tried sterile peat plugs, sterile rockwool cubes, and living soil. The beans are obviously extremely immature as well. I've written Attitude and I'm hoping they will replace them with fully mature beans that actually germinate. Ya them some pale looking mofo’s for sure are they floaters as well? written Attitude and I'm hoping they will replace them with fully mature beans that actually germinate. Man, sorry to hear you got a bad batch. I hope they stand by there product and you get some good seeds. That is one good thing that SHN did do. The biggest problem if they do make it right is the time lost. Could have been exposed to temperature extremes... could be bunk from the get-go. I picked the best female F1 and reversed it to itself, so an S1. It should follow the normal pattern of breeding F2s for any mixed genes (Aa), a wider phenotype selection, and it will maintain all the double recessive genes, locking in the high CBD traits for another generation. Awesome stuff. The read is a nice story and glad it had a happy ending. I don't have a CBD only variety, do you have a pack of these left? Lab results for Sebring's Revenge! I'll come visit at some point soon. I don't actually need them atm so if that is the only thing shipping I'd likely wait till you have more than one type to log an account etc. 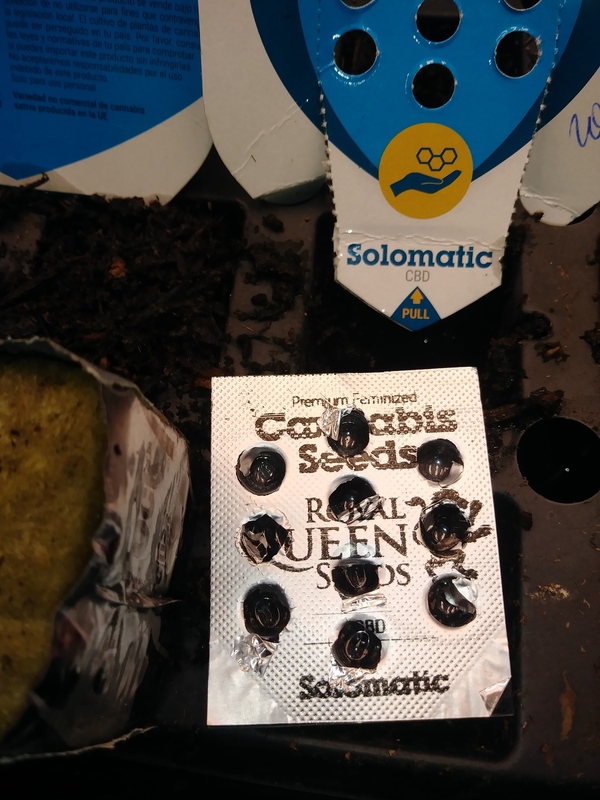 purchased 10 Royal Queen Seeds Solomatic CBD AUTO Feminized Cannabis Seeds from Attitude Seedbank, and so far zero have germinated. 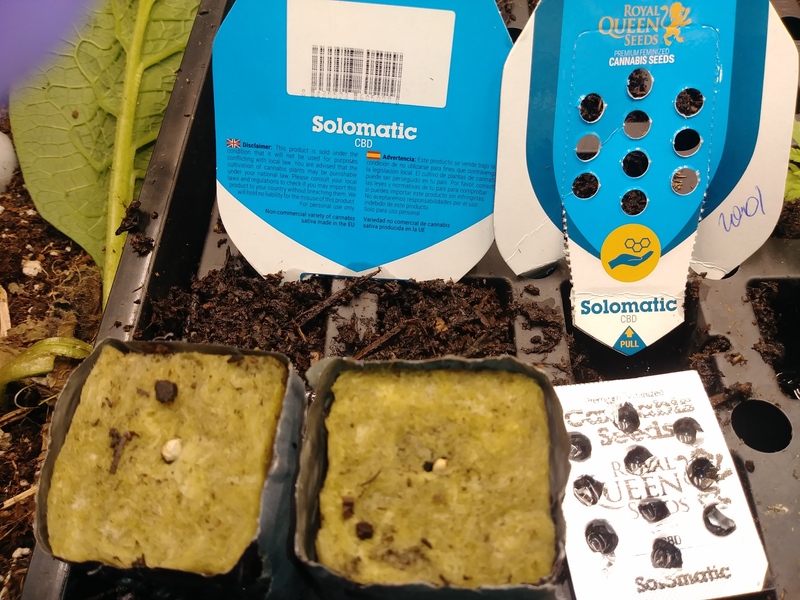 I've tried sterile peat plugs, sterile rockwool cubes, and living soil. The beans are obviously extremely immature as well. 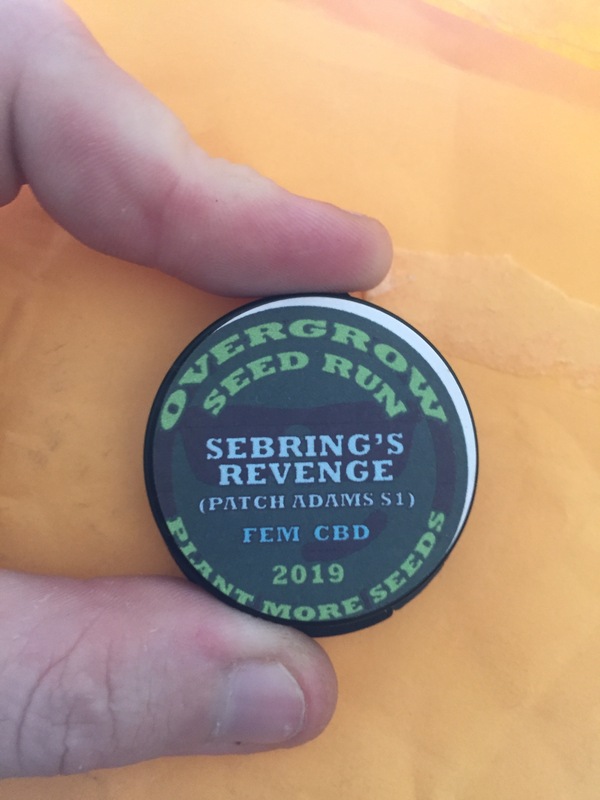 Once I get some high CBD autos locked down in seed form that I can give away in mass I'll be turning my eyes towards finding some 1:1 and 2:1 strains to do seed runs for. Attitude Seedbank's response was total garbage. I won't be buying from them ever again. I am sorry to hear you were disappointed with the products you have purchased from us, but as you are aware we sell these seeds solely for souvenir and storage purposes and for no other use due to the law in the UK. I am really sorry but we cannot discuss or promote anything to do with germination. As if they are actually going to contact RQS or get RQS to do anything. Why would a company selling white cannabis beans care about bad beans? These aren't newbies, they knew they were selling garbage. Yikes !! How can they sell such underdone shiatttt! That is a piss off. I would try contacting RQS directly. would try contacting RQS directly. Question. S1 and a half? I was stoned, as you should expect, and I filled a jar with seeds after sifting them for qualities. The good beans filled the left jar which I labeled, but I had more seeds to fill another jar, so I tried to think of what I could write that would remind me of what they were and let me know it was to be combined with the other jar. Writing a 2 would mess up the S1 part, so that was out, so the next thing that came to mind was 1/2 because they're the second half of the beans, and I knew that if I didn't remember that, then the weird numbering would jog my memory!! Us old bastards have tricks for having a bad memory. In the end I didn't think they were sorted well enough so I recombined them and winnowed them into 2 categories: Good beans and compost! The more people we help the better! Wow, RQS is really digging themselves itself a hole. I hate lazy greedy companies and their proving to be just as bad as Attitude Seedbank. From my emails to them. Could you please provide a proof of payment an some pictures of the products purchased? We normally do not take responsibility for orders no placed directly with us but we wil see what can we do for you. I'll do you one better, here is a photo of the packaging, and the online grow journal where i document everything for the world to see. I'd also like to mention that YOU have a financial relationship with Attitude Seedbank that allows you to contact them directly to verify my purchase with nothing more than my name and address, which is included in the photos I already sent. Oh bro I feel your pain I bought direct from them and the courier lost my package. Their like oh we’ll “launch an investigation” and if you don’t hear back within 48 hours get back in touch to hear... absolutely nothing to then get somewhere eventually they agree to replace them. Safe to say I won’t be using RQS again. Same. I'm done with them.